Spring officially began on March 20, but in much of the country you couldn’t tell that. One of my friends on the West Coast was bewailing the fact that it was in the 90s a few days ago where she lives, while those of us trapped in Flyover Country and Eastward keeping getting slapped with shocking amounts of snow and ice. Tender perennials have begun poking the heads up from the frozen ground, regardless, and those of us who are gardeners worry. Will that tender green survive? American poet Robert Frost famously started his poem, “Nothing Gold Can Stay” with the line, “Nature’s first green is gold/her hardest hue to hold.” Yet the vagaries of the weather thus far have me wondering if Frost doesn’t get that exactly wrong, at least in early spring. Here in the Midwest, Nature’s first gold is green. 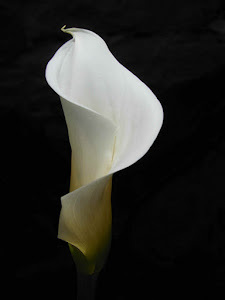 Starting at the end of February, the bayonet tips of forgotten, somnolent daffodils draw the eye as they appear in late February, shy at first as then as confident as a toddler with a dangerously full diaper, scoffing at disaster looming just ahead. That infant green is so shocking, it almost seems lit from within, and truly is more precious than gold, especially to my winter-starved eyes. It will only be weeks later that the gold of daffodil flowers will grace us—the green comes first, of course. 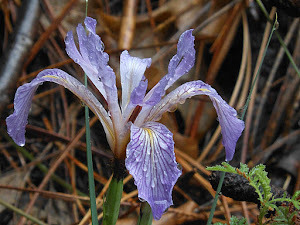 A few days later, the broadsword leaves of iris slash up three inches, seemingly overnight, putting winter and me on notice, we hope, that its days are numbered. It may be that it will snow tomorrow. But that green teases the heart, and if you are brave enough to wander out on the crisp, sere grass in your bare feet for just a few moments, you can feel the shuddering awakening of the living soil, throwing off its slumber and preparing to resume its hum and thrum. I go out and walk the perimeter of my yard every day now, barefoot if I can stand it, checking for the signs of reawakening, a dog or two patrolling with me, and give thanks for each new precious green thing I find. Soon the redbud trees around my house will begin to bud and blossom, especially the one my late father gave me from Oklahoma and my then-toddler first-born and I planted in the backyard even though it was, as she chanted just a “stick, stick, baby stick.” The fuschia buds will frost branch and twig of this now- magnificent twenty-year-old tree, and then they too will drop to carpet the hillside as heart-shape leaves take their place and unfurl, softening the percussive clash of bare limbs now when the wind blows in as effectively as muffling a drum. As I was recklessly doing that just a couple days ago, before yet another snowfall was predicted here in Missouri, I noticed that the grape vine along our fence remained stubbornly barren. This came back to mind this morning in the daily office, as we were presented with Jesus’s teaching about being the true vine in John 15:1-11. “I am the true vine,” Jesus reminds his followers, “and my Father is the vine-grower. He removes every branch in me that bears no fruit. Every branch that bears fruit he prunes to bear more fruit.” Every time I read those lines, I am reminded of my need to prune away the things in me that bear no fruit: anger, fears, worries, frustrations that do nothing to help me lead a more God-centered life, but instead trap me in a cycle of winter within my heart and mind that clings stubbornly to me as the winter weather patterns are right now. The dead branches that are the inevitable risk of living, but that can get out of control if we let them. I like the fact that this passage from John reminds me of the need to have faith in the green within me, just as we have to have faith in the green reappearing all across the landscape, especially at this time of year. This was first published on Episcopal Cafe's Speaking to the Soul on April 11, 2018. 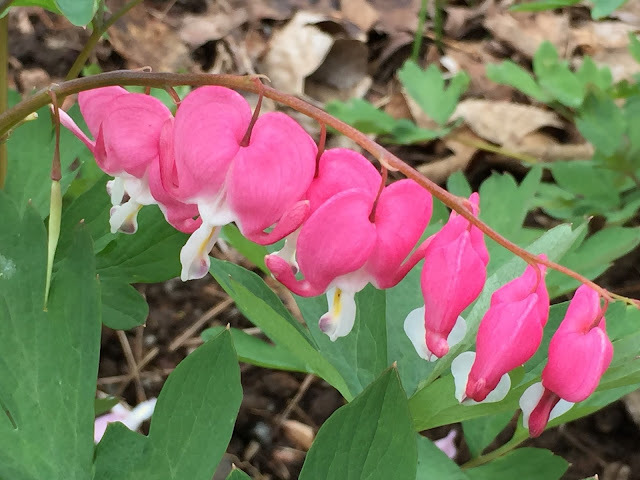 Image: Bleeding hearts outside St. Augustine's Chapel, Vanderbilt University, April 2017.